Three Windows on Heaven - Acceptance of Others, Dialogue and Peace in the Sacred Texts of the Three Abrahamic Religions. 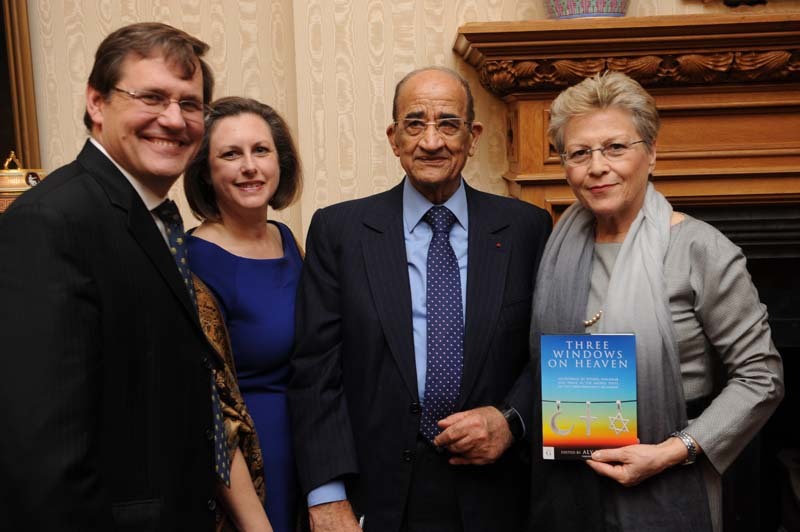 The book, written by prominent international Jewish, Christian and Muslim specialists, was edited by Dr. Aly El-Samman, president of the International Union for Intercultural and Interfaith Dialogue and Peace Education (ADIC). Speaking to an audience of distinguished guests, religious figures, journalists, and ambassadors were Rev. 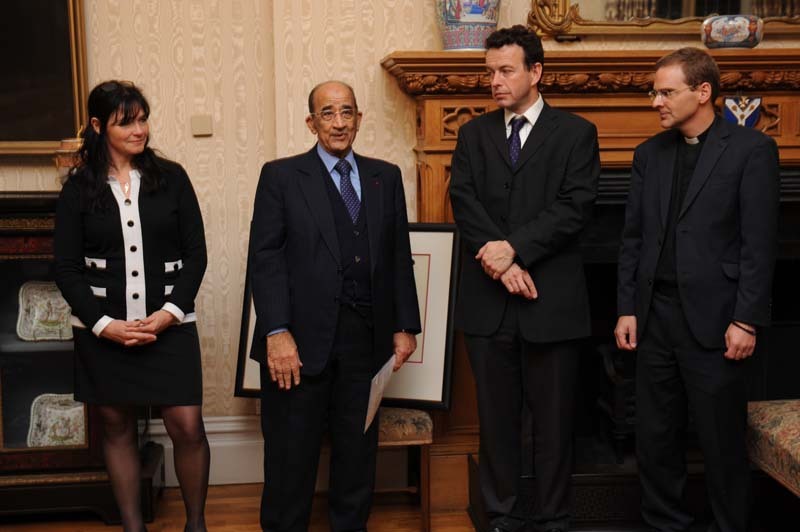 Dr. Toby Howarth, secretary of Interreligious Affairs to the archbishop of Canterbury; Max Scott, director of Gilgamesh; and Dr. Aly El-Samman, ADIC president. One of the co-authors, Dr. Marie-Laure Mimoun-Sorel,from the Australian Catholic University and the Loreto Mandeville Hall school, came from Melbourne to participate in the event. Rev. 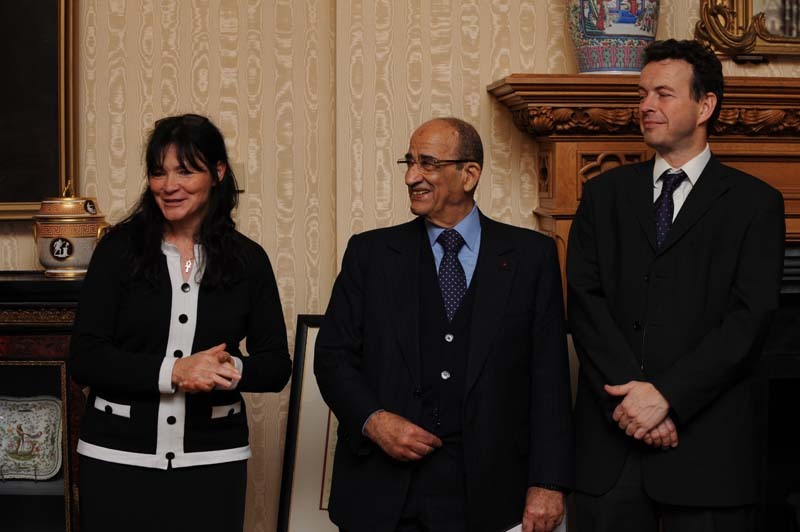 Dr. Toby Howarth spoke of, “…the importance of interreligious dialogue and the history of relationships of the Church of England with Dr. Aly El-Samman back to year 2001 when an agreement was signed between the Church of England and Al-Azhar. Dr. Aly El-Samman said, “To deliver a speech in front of such a distinguished audience is not easy but what will make my task easier is to let myself be inspired by this great place, which means a lot to me, Lambeth Palace, where I came in 2001 for the signing of the agreement between Al-Azhar and the Anglican Communion. I want to pay tribute to Archbishop of Canterbury Justin Welby for his high concern in interfaith dialogue, to Rev. Dr. Toby Howarth, secretary of Interreligious Affairs to the archbishop of Canterbury, who organized the launching event, to Rev. 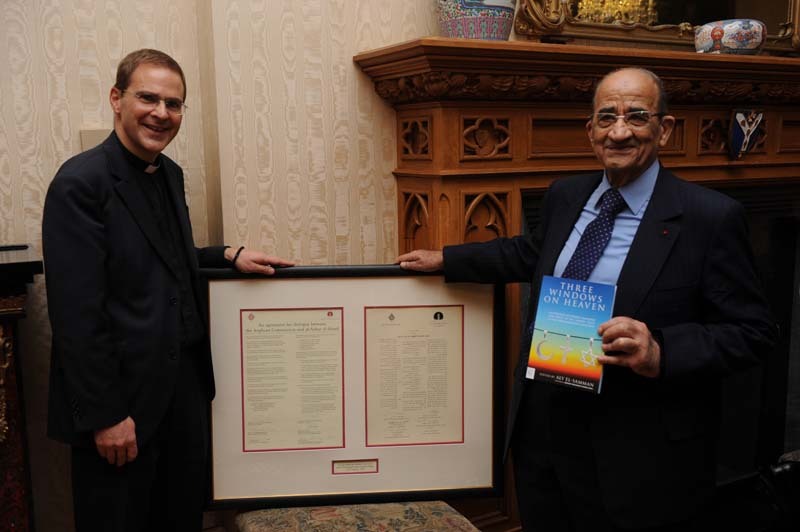 Dr. Mounir Hanna Anis who was the first to open the doors of Lambeth Palace to me, to Max Scott for his belief in these values, and to Adel Darwish, my friend, who inspired the title of the book.